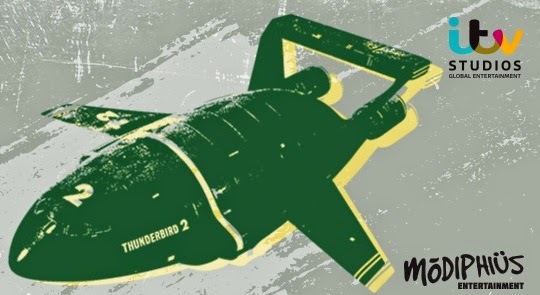 A lot of things happened over the weekend at the UK Games Expo and it was impossible to be in more than one place at a time, so much so that I completely missed one of the biggest announcements at the show; that Matt Leacock is working with Modiphius Entertainment to create a Thunderbirds board game! No matter when you grew up in the UK there’s a good chance that you watched at least one of Gerry Anderson’s puppet based shows, whether it be Stingray or Fireball XL5. The biggest show of them all was Thunderbirds, a show about International Rescue, a team of rescue experts with the latest high-tech gadgets and vehicles. International Rescue was made up of the Tracey family, your typical clean cut all American heroes, aided by an English aristocrat in a bright pink Rolls-Royce, a surly butler and a genius. Whatever you do though, don’t watch the 2004 film, its pants. It’s easy to see how Thunderbirds will work as a co-operative game without even seeing a single component. The Thunderbirds are all about rescuing people from over the top disasters and achieving that via team work. Each member of International Rescue has an important and distinct role to play and you can easily see how these roles can be distributed amongst the players. Matt Leacock is famous for his sublime co-operative games such as Pandemic, Forbidden Island and Forbidden Desert and I can clearly see Thunderbirds fitting into his design style. This is Modiphius’ first foray into board games, their current product being the Achtung Cthulhu and Dust roleplaying games. It maybe a new venture for them but the quality of products they put out is rather good (the new miniatures for Achtung Cthulhu are especially nice). It’s a long way off mind you as the game isn’t due for release until autumn (Fall) 2015, which will be the 50th anniversary of the TV show.